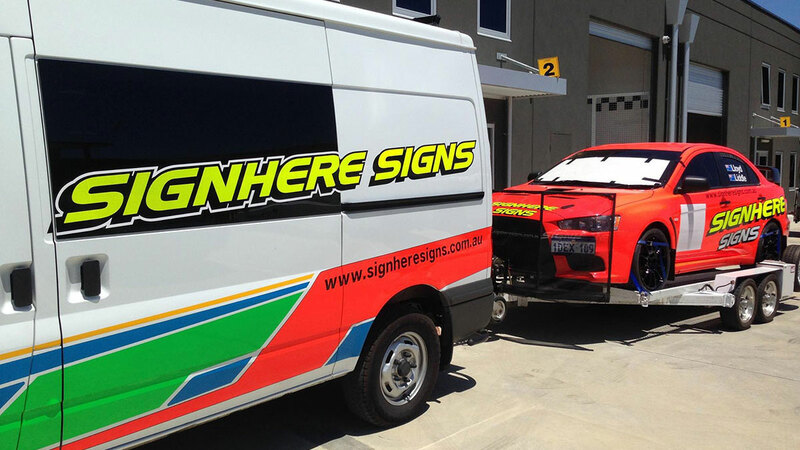 The Targa Tasmania series begins this long weekend (27th-2nd) and the Signhere Signs Evolution 10 rally car will be fighting for poll position in its class. The whole series has started early for the Evo, with the past few months being a busy schedule of drive train building, graphic wrapping, testing and preparation. The car set of on its trailer for the one of the longest drives it’ll experience, traveling some 4,148km from its home base in Perth to Tasmania – over 3,700km of driving, a ferry ride; a total of around 60hrs traveling time, no easy task. 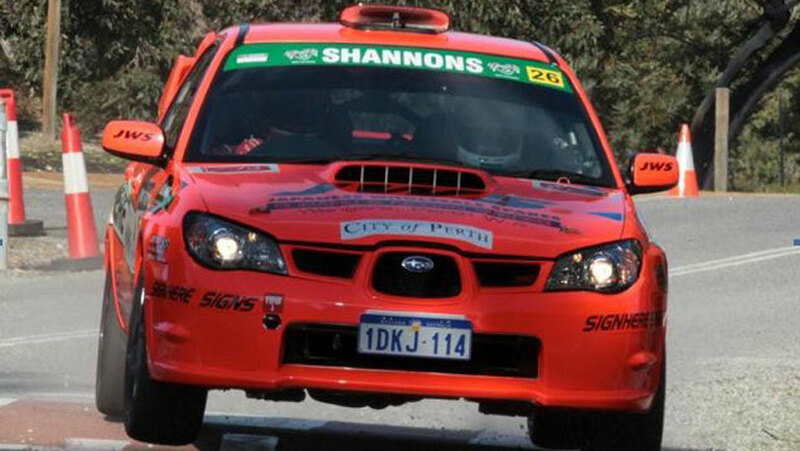 Once in Tasmania, the car will be checked over, and Stewart Liddle, the driver over the vehicle will do his recon on the stage roads, to learn the corners, straights and all get a feel for the environment he’ll be driving a car at over 200kmph when the race begins. You can keep up to date with the Signhere Signs Motorsport Evo 10 on its dedicated Facebook page, where regular updates from the support crew will be uploaded. You can also check out some other rally and race cars we’ve sign written in the past over on our rally car product page.